Memorial Day was established as a day to remember those who have given their lives serving our country. We are very grateful for their service and sacrifices to preserve our freedoms. As part of honoring their sacrifices, it is important to remember their families and fellow veterans. According to the National Coalition for Homeless Veterans, nearly 50,000 veterans are homeless, of which more than half are disabled. At ELM, we have compiled a list of some services and resources, found below, that can provide assistance and other resources to support these families and veterans. The MVAA is a one stop veteran resource center, connecting veterans to benefits related to employment, education, health care, quality of life, veteran’s homes, and more. The MVTF is a program used when an unforeseen situation has caused a temporary financial emergency or hardship that a grant, if approved, would resolve and the applicant can show that they will be able to meet future expenses. The MiVHAP will provide financial grant assistance to Active military service members, Reserve, Air and Army National Guard, and honorably discharged Veterans living or having lived in a home in Michigan. The HOH is a non-profit program designed to assist motivated veterans with the resources they need. They have contacted local professionals, informing them of the program and the need for their services for our veterans. These professionals include physicians, psychiatrists, dentists, physical therapists, prosthetic specialists, mental health therapists, employment specialist, and religious institutions. The local community professionals have agreed to assist HOH and the veterans they serve. HOH designed to receive inquiries from veterans, who are having difficulties getting access to the resources necessary for successful transitioning from military to civilian life, and introducing them to the professionals who can assist. HOH also has a distribution center for donated items available to veterans and their families. Burial benefits available for Veterans buried in a private cemetery may include a Government headstone, marker or medallion, a burial flag, and a Presidential Memorial Certificate, at no cost to the family. Some Veterans may also be eligible for Burial Allowances. VA benefits are not available to spouses and dependents buried in a private cemetery. Contact: National Cemetery Scheduling Office at 1-866-900-6417 and follow-up with a phone call to 1-800-535-1117. The U.S. Department of Veterans Affairs (VA) helps veterans and their families cope with financial challenges by providing supplemental income through the Veterans Pension program. This is done through tax-free monetary benefits payable to low-income wartime veterans. Pension benefits are needs-based. To qualify, your “countable” family income must fall below the yearly limit set by law. For both the Veterans Pension and Survivors Pension, the veteran must have at least 90 days of active duty, including one day during a wartime period. The Vets to Ag program is an innovative residential training program for US military veterans to work in a variety of food, agricultural, and natural resources businesses. Training is coordinated by the MSU Institute of Agricultural Technology and is delivered by experts from MSU faculty and staff, including MSU Extension, Kellogg Biological Station, and the private sector. National veteran organization that supports military veteran farmers through resource, educational, and fellowship opportunities in all 50 states. Membership is free to veterans. Farming academy that is run by Air Force veteran Mark Baker in Marion, MI. Courses available through this program include: pastured poultry course, pastured pork course, bio char 101-how to make natures black gold course, intro to permaculture and soils course, and rotational grazing course. Homebuyer Assistance – $600,000 in unused funds have been returned to MSHDA and are now available with the MI First Home loan program effective April 15, 2015. Eligible first-time homebuyers are defined as someone who has not had a present ownership interest in his or her principal residence at any time during the three years immediately preceding the date of the mortgage application. There is no exception for targeted areas regarding prior homeownership. Non-military homebuyers are eligible for grants up to $3,000. Active military and veterans are eligible for grants up to $5,000. Neither grant can exceed 25% of the purchase price. Grant funds may be used only with a MSHDA MI First Home loan — with or without MSHDA’s Down Payment Assistance (NMS grant calculated prior to DPA funding). 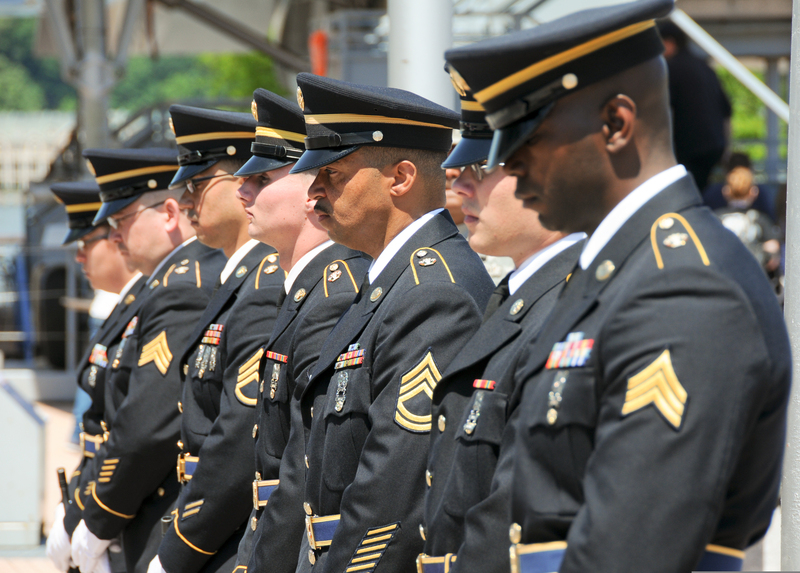 NOTE: Military is defined as a member of the U.S. Armed Forces or National Guard and Reserves. If you are a veteran who qualifies for a 100-percent disability rating from the U.S. Department of Veterans Affairs (VA), you are entitled to additional benefits not afforded to other veterans. Below is a list of benefits for 100-percent disabled veterans and their dependents. If you are a 100-percent disabled veteran or surviving spouse, you may request a waiver of property tax. The letter you receive each year from VA states whether you have received this grant. The property tax exemption has been extended to include a veteran’s spouse if the veteran passes away before the tax break is granted. If you are eligible, you can apply for the property tax waiver from the local government office issuing your property tax bill (city, village, township, etc.). The state’s income tax code provides a tax credit for property tax paid by a disabled veteran or surviving spouse. This benefit varies depending on the percentage of disability rating and the family’s income. Use the MI-1040CR-2 to apply for the tax credit. The Secretary of State will license and register your vehicle for an annual administrative fee of $5. The remainder of the annual registration and license fee is waived. Call your local Secretary of State branch office for additional information. Note: Ex-prisoners of war, regardless of their disability rating, are eligible for this reduced cost license plate.